San Francisco Agency Cibo Disrupts SE Asia Auto Market, Triples Sales | Cibo. On the heels of the enormously successful Unpark Your Life Subaru XV campaign, Cibo today announced the launch of its All Heart, Is There Anything You Can’t Do? and Symmetry campaigns to re-imagine the Subaru brand and dramatically increase sales of the 2016 Forester across 9 countries in Southeast Asia. 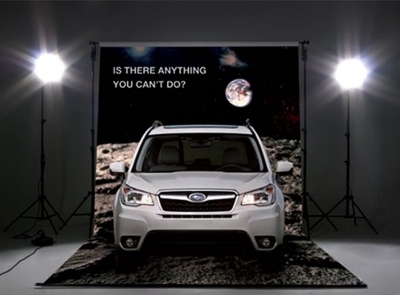 The campaigns encompass TV, print, out-of-home, digital, social media and web advertising, in addition to unique customer experiences to create an emotional connection with the Subaru brand. All three campaigns launch March 21, beginning in Thailand, and will roll out to Taiwan, Hong Kong, the Philippines, Cambodia, Vietnam, Malaysia, Indonesia and Singapore within 60 days. Motor Image Group of Singapore, the exclusive Subaru distributor in Southeast Asia, aims to significantly grow the Subaru brand in the Southeast Asia market. To capitalize on investments in manufacturing capacity, dealership build-out and major media buys, Subaru is now ready to build the Subaru brand and drive increased consideration for Subaru in the Southeast Asia market. Motor Image Group CEO Glenn Tan saw the success of the Love campaign in the US market, which more than doubled Subaru’s US market share over a 10-year period, and wanted to disrupt his market in a similar way. “I knew I had to search for partner outside of my market to deliver innovative, creative thinking,” commented Tan. Tan hired Cibo, a boutique San Francisco-based brand and customer experience agency, because of the agency’s unique methodology, creativity and reputation in brand and customer experience design. Cibo’s competitive assessment indicated that auto brands’ advertising inSoutheast Asia universally focused on products and features. Based on this insight and in-market consumer research, Cibo concluded that emotionally-resonating brand promotion combined with curated brand experience moments would appeal more strongly to Subaru’s target market and set the Subaru brand apart from competitors. Using its unique brand experience moment design approach and informed from key consumer research insights, Cibo created a new brand platform for Subaru called All Heart, which exemplifies the target segment’s internal drive and spirit of overcoming all odds. Cibo had a near-term opportunity to test emotionally-resonating brand promotion and experiences to clear out excess inventory of the Subaru XV model prior to the launch of the All Heart brand campaign. #UnparkYourLife was launched in December 2015, featuring lifestyle and aspirational messaging, combined with customer experiences such as replacing the car’s Start button with an Unpark button, showing Unpark as the opening icon on the car’s display screen, and Unpark branding throughout the dealership experience. As a result of the Unpark campaign, Subaru went from having a brand awareness problem and a backlog of inventory to having an inventory shortage. Sales tripled in key markets and excess inventories were cleared creating a backlog of orders in major markets. With the recent success using emotional advertising in the #UnparkYourLife campaign, Motor Image Group now launches the All Heart brand platform alongside the Is There Anything You Can’t Do? 2016 Forester campaign. The All Heart brand campaign appeals to a niche target market identified by Cibo during its research. Subaru drivers in Southeast Asia exemplify a strong and persistent desire to present individuality and personal empowerment, with an unstoppable nature and drive to achieve goals with fierce determination. All Heart appeals to potential buyers with a series of images showing strong people persevering through challenges. Is There Anything You Can’t Do? presents the 2016 Subaru Forester in two unique stories to empower potential buyers through emotional appeal. Both stories concentrate on the owners of the 2016 Subaru Forester. One features a young family spontaneously participating in a competitive canoe competition and bringing home the trophy. The other features a young female student who makes her basketball team through tenacity, practice and support from her father. 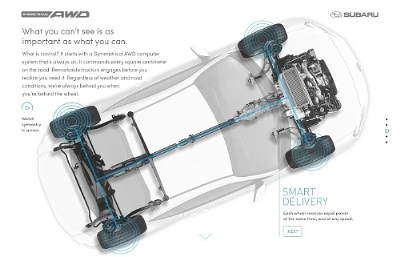 Symmetrical All Wheel Drive is Subaru’s unique traction technology that is a proven performance differentiator, delivering safe and comfortable driving security. Symmetrical AWD has very low awareness in SEA and traditionally it has been challenging to educate most consumers about auto technology. Cibo identified Symmetrical AWD as a key product differentiator that supports the brand platform All Heart as it delivers the ability for drivers to go beyond where others can. The Symmetrical All-Wheel Drive campaign introduces Southeast Asia to Subaru’s world renowned, superior all-wheel drive traction capability. The campaign will provide educational experiences, allowing interested buyers to test and understand the technology online and in dealerships. The Symmetry campaign will begin running in April 2016, after the March 21 launch of the All Heart brand campaign and the Is There Anything You Can’t Do? Forester campaign. This article was originally published on ABC 7 News.